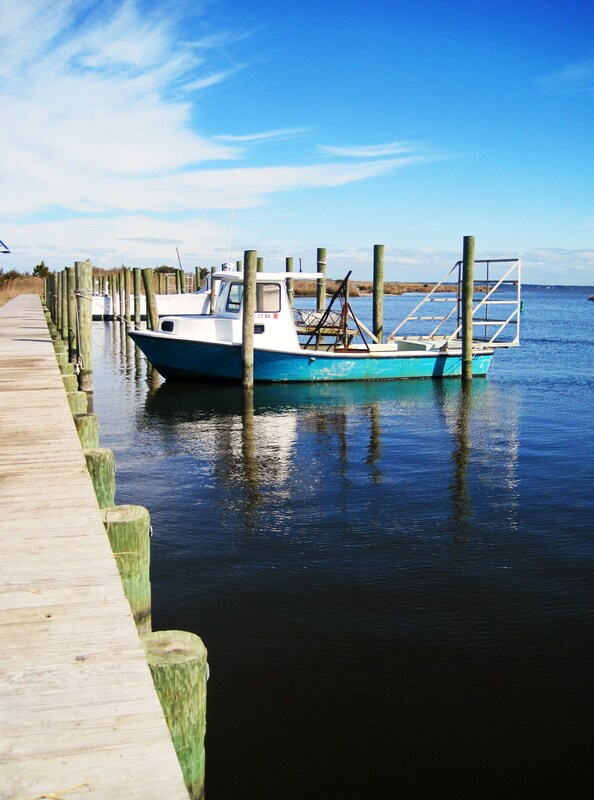 For over 75 years, the Manns Harbor traditional fishing community’s sole access to the Croatan Sound was through the local Manns Harbor Marina. Then, in 2005, the mainland’s only waterfront access was threatened by plans for condominiums, a boat storage facility and the removal of all public dock space. Local residents vehemently opposed the privatization plan, since their livelihoods and culture were dependent upon the marina for generations. They asked for help, and we were happy to provide it. A partnership was born. In 2007, in a laudable example of legislative initiative and local activism, the North Carolina General Assembly created the Waterfront Access and Marine Industry (WAMI) fund. The Manns Harbor partners then secured WAMI funds to buy the old Manns Harbor Marina. 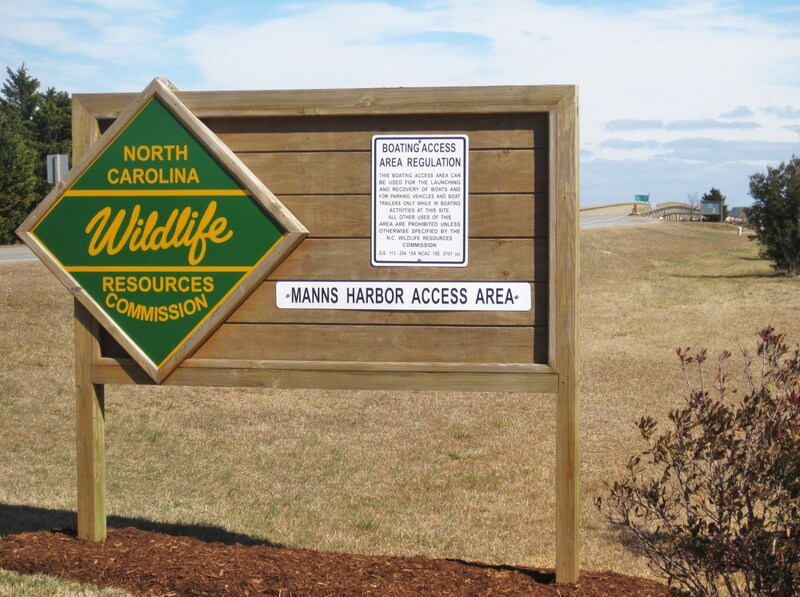 The N.C. Wildlife Resources Commission then set a statewide precedent by negotiating a facility in Manns Harbor that is designed to accommodate both recreational and commercial boaters with ramps and piers. The revitalization took place in two phases. First, the recreational facilities were renovated with improved boat ramps, floating docks and a repaired bulkhead. Then the commercial docks were constructed in a second phase of the project. 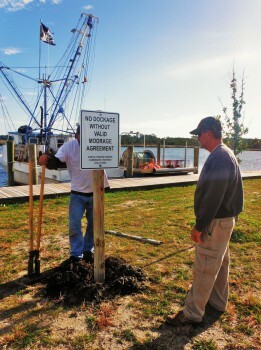 We continue working closely with the N.C. Wildlife Resources Commission, commercial fishermen, Manns Harbor Civic Association and Dare County to ensure proper management of the site. This collaborative effort allows the old Manns Harbor Marina to be revived for use by all of those who love the water. We are proud to be a part of the solution. If you would like to support collaborations with local communities like this, please join or donate today. Through unprecedented cooperation, the state, local government, commercial and recreational fishermen, the local community and the federation have created a self-governing mutual purpose marina. There are 30 slips total, with eight reserved specifically for commercial vessels and 22 for recreational craft. The commercial craft can use the other slips when they are available. This past season, in-season, there were approximately 15-20 commercial boats that used the slips. The state Wildlife Resources Commission paid for construction, lighting, stormwater management measures and dredging, and it will oversee that these elements continuing functioning effectively. 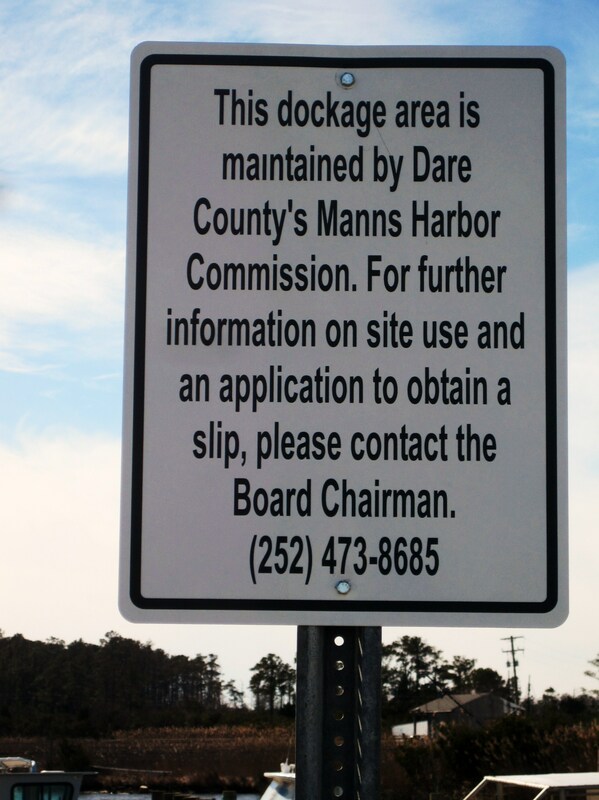 Dare County will assist with the site maintenance and enforce the rules governing its operation as determined by the county-appointed Manns Harbor Marina Commission. The Manns Harbor Marina Commission is a seven-member group representing recreational, commercial and local interests. The commission meets six times per year and reports directly to Dare County Commission. 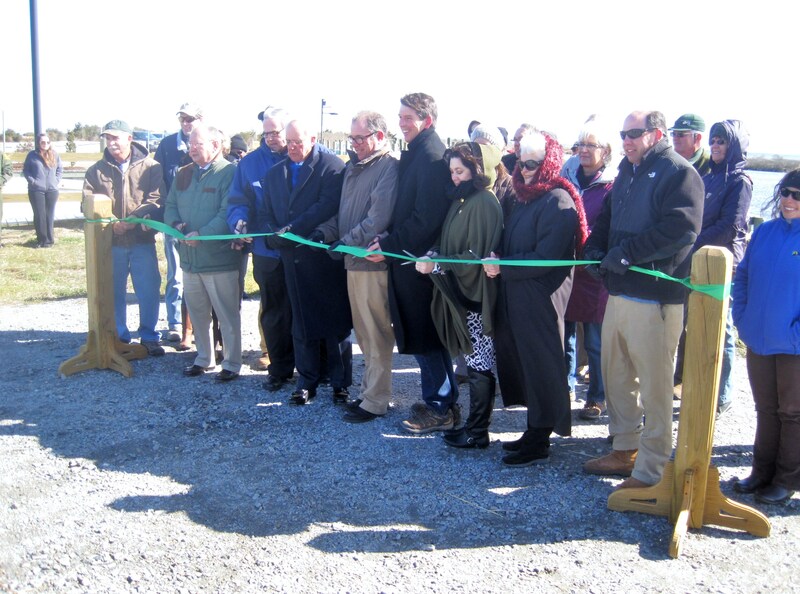 The director of the Division of Marine Fisheries, members of the Wildlife Resources Commission, Dare County commissioners, the Manns Harbor Marine Commission, commercial and recreational fishermen and federation board members and staff attended the ribbon cutting. All partners continue providing support as needed to keep the site maintained and promote its use.